Tonight is Eath Hour 2012, when people all over the world will be turning off their lights, electronics and non-essential appliances to lower their energy consumption and make a symbolic statement, drawing attention to climate change as well as affirming they will try to lower their overall energy consumption and impact on the planet. The event started in Sydney, Australia in 2007 when 2.2 million people participated in the event, conceived by the World Wide Fund for Nature (WWF) and the Sydney Morning Herald. This is the website for the event. Ontario electricity provider Hydro One said it would mark Earth Hour by turning off non-essential electrical equipment at its office facilities across the province. In 2009, I attended the UN Climate Change Conference in Copenhagen. I had the honour of being the eminent advisor to the Canadian government on sustainable building technology and its effect on climate change. It became clear to me that we all need to make a commitment to change. Building green and building sustainably are part of my future as a contractor. It should be part of any responsible builder who cares about the kind of future we’re building. Many city governments, energy utilities and corporations around the world mark Earth Hour, with more countries participating in the event every year. 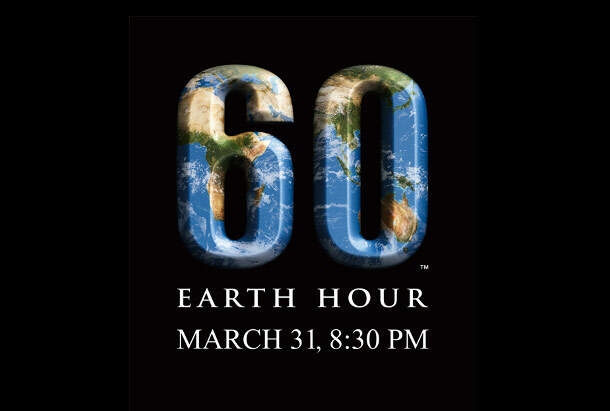 Even some groups that air television during the event are participating in some way – for example, the NHL is taking part by turning off non-essential lighting at all games scheduled for Saturday night, and the league’s New York City headquarters will also observe Earth Hour. Participants spend an enjoyable sixty minutes in the dark, safe in the knowledge that the life-saving benefits of industrial civilization are just a light switch away… Forget one measly hour with just the lights off. How about Earth Month…Try spending a month shivering in the dark without heating, electricity, refrigeration; without power plants or generators; without any of the labor-saving, time-saving, and therefore life-saving products that industrial energy makes possible. As well, a movement started by the libertarian think-tank Competitive Enterprise Institute, called the “Human Achievement Hour” (HAH) encourages the opposite at the same time as Earth Hour, to “celebrate the achievements of humanity such as eating dinner, seeing a film, driving around, keeping the heat on in your home”. I can see the point of these kinds of arguments, questioning the usefulness of the Earth Hour movement. Does sitting in the dark for an hour raise awareness? Does this action achieve perceivable results, or is it more akin to greenwashing – creating the perception instead of a reality of doing something for the environment? However, I think these articles and actions like the HAH miss the fact that the event isn’t calling for a renunciation of electricity or any of the modern marvels humanity have produced. My understanding is that the event attempts to show us how we can be less energy dependant and work to lower our individual consumption. I am proud of where humanity is and all that we have achieved, but I think we can always do better. Locally, London Hydro has been distributing electricity to our city for over 100 years, but we can always find better ways to produce, distribute and consume that energy. But how? We could have a “use a little less energy hour” but that kind of action isn’t likely to draw much press or attention. In the end, it is all about personal choice and personal responsibility. Does Earth Hour shape people’s perceptions of the environment and encourage them to make more informed energy decisions? I believe it certainly doesn’t hurt to try. I honestly love Earth Hour, both for the experience and for recognizing the lifestyle I want to continue to lead. I think that part of the appeal is the opportunity to turn off the lights, turn off all the electronic devices, and spend quality time with the people important to us (similar to Adbuster Magazine’s TV Turnoff Week). It’s also an affirmation of my attempt to consume less resources – not just in the focused hour, but in my everyday life as well. I try to keep my consumption of resources like water and energy low, produce less waste by purchasing as little packaging as possible, composting etc. ; Earth Hour is a great reminder of that. Lowering my energy consumption for an hour won’t likely have much of an impact, but I believe having communities across the world sharing in this experience is a great global affirmation of what our entire planet can do to lower our impact on the planet. My beliefs about this event have also been shaped by the year I spent working for London Hydro. My school and work experience is entirely outside the realm of energy, so I was very interested to find the entire corporation was geared towards the event, and works to advertise both for Earth Hour itself as well as for lower energy consumption, both as a means of reducing strain on the distribution system as well as lowering the environmental impact of energy production. While I was there, I watched as the head of engineering worked with a local solar panel distributer as well as Fanshawe College and UWO to place panels throughout the city as a green energy initiative. There are now panels providing energy to the main London Hydro office as well as other high-visibility city/college/university properties throughout the city, including an array of panels on the rooftop of the Covent Garden Market (more information available here). I find this kind of project very encouraging, and signals LH’s intent to partner with others and produce energy in the city using renewable resources instead of relying entirely on energy distributed to us by Hydro One. As I said, I believe we can be proud of our technological achievements while working to use that technology to find better ways to meet our energy needs. We can and should be proud of what we’ve produced, while aiming to leave our province, country and world in the best condition possible for future generations. With 7,000,000,000+ people on the planet and more joining us every moment, we need to be serious about preserving our planet as we struggle to share our limited resources with an ever-increasing amount of people. Any effort to raise awareness and to limit each individual’s long-term impact is commendable and to be encouraged, in my opinion. Tonight, I’ll be turning off my electronic devices, turning off the lights and spending a quieter, focused night with friends. I hope that you’ll give it a try too. I’ve been reflecting on citizen engagement, all the forms that it can take, and what has compelled me to be involved. I believe this conviction has been built steadily over time through many experiences and a need I see for all citizens to step forward and participate in their communities. However, there is one specific set of experiences I had when I was a teenager that I think set me on this path. I participated in something called the Bronte Creek Project. For one semester of high school, I left the conventional classroom and joined 14 other students, 3 co-op students (that graduated from the program the semester before), a TA and a teacher at an outdoor education centre at the Kelso Conservation Area outside of Milton. I learned and earned 4 grade 11/12 credits in English, outdoor education, environmental geography and interdisciplinary studies, and spent a month of that time teaching basic ecology and environmental conservation to grade 4 and 5 students. I shared in leadership and team building exercises, learned winter survival training skills, and completed the semester with a 5-day winter camping trip near Temagami. I’m glad that I participated in the project, for many reasons. Though I continue to be shy, I think the program helped me come to a much greater acceptance of who I am, and discover the types of leadership I’m capable of. It taught me a great deal about our local ecology as well as about our entire planet, and taught me how to in turn share that knowledge with others, including how to teach grades 4 and 5 students in the outdoor education centre environment. I learned a great deal about how to prepare healthy meals and about personal fitness/wellness, as well as outdoor survival training that we as a group used in our trip in mid-January to Temagami. The project is all about stepping out of our comfort zones, building life and leadership skills, and challenging ourselves to do and be more. I continue to look back at this time as I struggle to become more active in my community against shyness and reservation. What Bronte Creek taught me is that we’re all leaders in our own way. With these thoughts, I was deeply saddened to hear yesterday that part of the 2012 federal budget was eliminating funding to the Katimavik program (as posted here). The organization’s mission statement is/was “Engage youth in volunteer service and foster sustainable communities through challenging national youth learning programs.” Although I didn’t go through the program, I had the pleasure of working with students from all over the country during high school in Wiarton, an experience that helped shape who I am, and in time helped to lead me to enroll in Bronte Creek. As well, the experience of seeing and experiencing different parts of Canada and assisting vulnerable members of those communities helped build future leaders, while the students that joined our community through Katimavik volunteered for many of our community and charity groups. My concern is that, through saving short-term by cutting the funding to this program, it is depriving both the students that would have continued to benefit from the program, as well as the communities that work with them and would benefit from their future leadership. I believe that we as a country should continue to support organizations like Katimavik, Bronte Creek and any others that help train our youth to become our next leaders through personal growth as well as outreach and support for their communities – the more connected we are with our communities and our entire nation, the better. Ultimately this is a citizen engagement issue for me – I continue to struggle to find my place in my community, and where I want to focus my time and energy. We should encourage and promote programs that support our youth and empower them to step out and grow their leadership skills while working in communities across the country. We should also work to step out of our own comfort zones, try something new and different and connect with those around us. I’m still on that journey, but have been very glad for the experience this far – I’ve met many amazing people in our city, re-connected with our civic process and learned about many of the terrific art and culture projects happening in our community. I firmly believe the more we talk, debate, learn from and encourage one another, the more differing opinions we take in, the more we sharpen ourselves and our beliefs while working in our communities, the stronger those communities will be. We are all unique with our own talents and beliefs; where we live, work and play can benefit from all of our input. The simple motto of the program that really started me on this path of citizen engagement, City Symposium, is “Be Curious. Do Good.” While I and everyone else involved continue to ask what this means and discover/live out that truth in their own way, I can say the journey so far has been deeply rewarding. I hope we can all continue it together. Fleming riot – what now? Since the St. Patrick’s Day riot (on Fleming Drive, close to Fanshawe College) last Saturday night, a lot of questions have been asked, seemingly without answers. It’s been noted here that the area has had a long history of issues, raising the question of why does this seem to keep happening on Fleming Drive, and why hasn’t more been done to curb it? There has also been plenty of blame going around. am980 writer Nathan Smith posted this article. In it, he noted that these kinds of events aren’t happening in other areas of the city like the downtown or the UWO area, and therefore concludes “This is a Fanshawe problem”. When I first read this article, I agreed with him, because this has been a persistent issue in the Fanshawe area since before I began studying there in 2004, and one that the college apparently hasn’t been adequately addressing. Nathan’s argument is that it is the lack of on-campus residence space that forces first year students into the community, immature and unprepared to be unsupervised. However, as I thought more about the article and what I know about the college, I started to disagree. First, Nathan Smith’s numbers about the college residence aren’t correct. He states that the college has only 1,000 residence spots for students, while in fact they have over 1,600. Half of those beds have been added in the last 2 years with the completion of R3 Merlin residence and the purchase of the Gatewalk townhouses, now know as Kestrel Residence (R4). Nathan is under the impression that the college isn’t attempting to keep up with residence demand, despite the fact that they have doubled the size of their operation in just over 2 years. R1 was built in 1999, R2 in 2005, R3 in 2009, and R4 was acquired in 2011. It would not be far-fetched to imagine with this pattern of growth another two 400-bed residences in the next five years. Nathan also states that “Fanshawe has among the fewest on-campus residence spaces of any post-secondary institution in Ontario”. Fanshawe is a college that was designed to serve a community, and has only in the past couple of decades drawn students from outside London who would require student housing. I took a look at the other 28 colleges in Ontario, and with 1,600 beds, Fanshawe actually has the highest amount of residence spaces available of the 28. If you do the math, almost 11% of Fanshawe College students live in Residence (15,000 full-time students in 1,600 beds). That’s almost double what most comparable colleges Fanshawe’s size can offer. Finally, Nathan Smith states that “spaces that do exist are not offered up to first year students, as is often the case at other Colleges and Universities, and are instead made available on a first come first serve basis.” Also untrue. A quick phone call to the Fanshawe residence front desk told me that only 15% of residences spaces are given to upper year students, and 85% are held for first years. The residence website does explain that they have switched from a random lottery system to a first-come-first-serve basis, but what this entails is that your acceptance into residence hinges on your acceptance into the college, so if you’re accepted into the college first, you are served first. This is common at other college residences, according to their websites. Many other colleges also do not reserve spaces for first years at all, putting them into competition with upper year students for the beds. Thinking more about this issue, I now wonder what the college could have done differently. As President of Fanshawe Student Union (FSU) Veronica Barahona stated at the Fanshawe press conference Monday, they actively work to educate students in the Fleming Drive area about city by-laws concerning noise, alcohol etc., they work with LPS to strategize how best to anticipate and quell any partying issues that may arise, etc. In reality, the area is private residences outside of Fanshawe’s control. Has it been noted that Kestrel residence townhouses, despite being next to Fleming Drive, was extremely quiet? This raises the question, why doesn’t the college purchase the Fleming area as well? Fanshawe president Dr. Rundle called it “prohibitively expensive”, and he has a point. If each one of those money-spinning rental houses is worth $250,000, we’re talking about a million dollars for every four houses,and that’s just the purchase price. Then there’s the cost to do something with them after they’ve been purchased. I’ve heard people ask if the college security can patrol Fleming, and the answer to that is simply no. Can the college enforce residence style rules in those private houses on Fleming? Also no. It’s private property. Nathan Smith’s article does ask a question fundamental to this issue: why do riots like this happen only in this area? This is a question Fanshawe College as well as London needs to answer, especially as the college’s reputation has already been tarnished by this event. Who can answer this question, and what can be done to make sure it doesn’t happen again? Tuesday night, Council agreed to start some form of public debate on the issue, as discussed in this and this article. Fontana observed different groups are discussing the issue individually already, saying “There are a lot of investigations going on. The police have a task force, Fanshawe has certain things convened; David O’Brien (the city’s division manager for corporate security and emergency management) is co-ordinating a response,”. Council voted unanimously to have a public meeting arranged as quickly as possible, though details are being ironed out as to time, place and to ensure all appropriate organizations are involved in the meeting. I think this is a positive start, and hope that this conversation will start initiatives that the community can continue. Council is concerned that this could spur a series of meetings that they would be chairing and overseeing, but I hope that in time, it would encourage other groups such as community associations to enter conversations with the college, FSU, LPS etc. to start their own initiatives without Council’s assistance. When all is said and done, though, I hope the blame game stops. If you threw a beer bottle at a cop car, set fire to a vehicle, or torn up a street sign, there is no one more responsible in the world than you, and no one should be taking the blame for you. The nice weather did not make you drunk. Fanshawe College did not make you pick up that beer bottle. The police were not asking for it by being there. Your absentee landlord did not make you take aim at the cop car. Neither society nor your parents let the bottle fly. You did, rioter, and a lot of people are taking a lot of undeserved heat, because of the decisions you made on St Patrick’s Day. Yesterday the long-awaited Ontario Ombudsman’s report was released, available here to read. The statement released with the report simply says “The Ombudsman found that London councillors did not violate the Municipal Act when they met in camera to discuss the ‘Occupy London’ protest last November.” The Ombudsman, Andre Marin, did make a couple recommendations that would further aid transparency, however, including providing information sooner (expressing concern over “the last-minute addition of the Occupy London matter to the in camera meeting agenda”), and adding express reference in the city’s Procedure By-Law for requirement of public notice, which is currently missing. After the anticipation surrounding the report (as mentioned here), so much so that the City reportedly started to receive Freedom of Information requests as soon as it became known that the report was about to be released. These articles provide further information about the report and Council’s reception of it. Politicians may have broken, or at least bent, Municipal Act rules by making the decision behind closed doors unnecessarily. Politicians appeared to be playing loose with the Police Services Act by authorizing officers to help take the camp apart, a move rejected three times in the past under similar circumstances in London. Two secret votes have smothered dissenting voices from council and blocked the public’s understanding of the reasons behind the decision. Council also seems to be ignoring the Ontario Ombudsman’s Sunshine Handbook to guide municipal governments through the perils of closed-door meetings, which cites the court decision. I feel as if since this investigation started, I and many others in London dug in to learn more about the Ontario Ombudsman, the person, office and function. In my own research, I’ve become convinced of Mr. Marin’s professionalism as well as the impartiality of the office he holds, and that we can trust that the conclusions the Ombudsman makes are those of a disinterested third party. We can disagree with the conduct of our Council, but not the verdict the Ombudsman draws about that conduct. I am also convinced that the Ombudsman doesn’t enter an investigation lightly. In both this now-concluded investigation as well as the one that has just been launched, an initial probe was performed to decide if further inquiry was needed. We have this service in place to investigate events where there is reasonable doubt as to the transparency of Council. I believe from what I have read and learned that Mr. Marin would never allow his office to be used as a political weapon, despite suggestions made by Councillor Orser. *This is an extension of this post discussing the riot that happened on Fleming Drive on St. Patrick’s Day. In my last post I reflected on the riot that happened this weekend, and where we as a community and city go from here. The Mayor and Chief of Police held a press conference yesterday to address concerns about what has happened and suggest strategies for what can be done. Through it all, Fanshawe College has been very quiet about the event, until it was announced yesterday afternoon that Fanshawe College President Howard Rundle would be holding a press conference this morning at 10am. Extremely disappointed, maybe even angered, with those involved in the incident. Sorry it happened in community, and that it detracts from the reputation of Fanshawe, one of the finest schools in Canada. 6 interim student suspensions due to charges, 2 more students suspended today. Investigating under the student code of conduct, allows them to reach into community if safety and health of college community effected. Students endangered themselves as well as others, health and safety of entire community an important consideration. Not tolerated or excused, those people involved won’t continue to be students of Fanshawe. Applaud information being presented, but request that citizens allow police to investigate using the information provided by community. Project LEARN and FSU initiatives have been working. Hundreds of Fanshawe students involved, but many other secondary and post-secondary students and citizens involved. Student enclave attracts others. Rundle challenging some property owners on Fleming to take some of the blame. Fanshawe has almost 17,000 full time students, proud of students and alumni. Today Fanshawe starts to take back the reputation of an exceptional college. Work hard to teach students responsibility for their actions. Share Fleming area students with city by-laws. Many families still in neighbourhood, they also need to be considered. Taking situation very seriously, courts should take appropriate action. Accept that this will reflect badly on students, will work to restore image and find solutions for ongoing situation on Fleming Drive. Q: About the Open House happening next weekend – what is message to new students and their families? A: This is and continues to be one of the finest colleges in Canada. Fleming is a student enclave, encourage students to live elsewhere including student residence controlled by campus. Q: Project LEARN has been happening for years, have precautions been made? A: Yes College did meet with LPS, they meet several times a year to discuss how to best plan. In hindsight, they’re going to ask how it is going to be addressed going forward, St. Patrick’s Day inordinately celebrated in London. There were a number of plans in place, but didn’t realize the extent of what would happen. Q: Will students be expelled for criminal behavior? Is this new? A: This isn’t an absolute first, student code of conduct allows for consideration of behavior in community. Has to be significant – throwing bricks, setting fires. Danger to the student community. Q: Does FSU have problems with this approach? A: They will move forward with College decision. Health and safety are major considerations. Q: Has the college met with suspended students? Do we know how things got so out of hand? A: Students will have a chance to meet with a college rep that is trained in situations like this, hasn’t happened yet but will soon. Q: The college has a large residence, and bought townhouses across from the college. How does Fanshawe propose to deal with the situation on Fleming? A: Would probably be expensive to rush in and buy houses, but can examine city by-laws, city may have tools that can discourage absentee landlords. Wouldn’t totally rule out possible residences in that area, real long term solution is breaking up the enclave. We all have tools available. Deeper social issues, tolerance of binge drinking, notion that St. Patrick’s should be a “big booze-up”, can’t individually deal with those, but we can all step back from this and look at it more deeply, are parents of children involved aware of how their children are acting? Deeper social issues exposed by this. With this last question, the press conference concluded. Many people are stating that criminal charges absolutely have to be laid against those responsible, but question is expulsion from Fanshawe is the answer, or will only set society as a whole back by limiting their futures and likely leading to further crime and social issues. I absolutely agree with the former though I struggle with the latter – I don’t envy the college their job. As Rundle and Barahona stated, they have people trained to deal with these kinds of situations and meet with the students that were arrested and suspended/expelled. The question is, how to strike the right balance – rehabilitating those involved and aiding them in moving forward, without adversely affecting the student and community population in and around Fanshawe. Those that graduate from a school go into the world as a representative – as Fanshawe president Howard Rundle is responsible both for the health and welfare of all students, and the reputation of the college. I think the eventual solution to this will take time and careful consideration. What I take away from this press conference is the fact that the college accepts that they have a responsibility to their students and community, and that there was much more involved than simply good weather, alcohol and young people. My hope is that the city, college and community can connect and work towards real solutions to this persistent problem, and that this will be a wake-up call that much more than the current response is needed. it seems the solutions until now have been mostly reactive; though much more difficult, I hope that strategies can be built that aim to change the underlying causes. I believe President Rundle’s comments express a desire by the college to do that. But what will the solutions looks like? Will that simply involve an even larger police presence/installation of cameras, purchase of the area by the college/residence, more involvement in area by community groups, more options of things to do for students in the area? All or none of these? Time will tell. *I will continue to update this throughout the day as more information is available. This post continues from my previous posts on transparency in London City Council. In the past posts I discussed the controversy surrounding a lunch 6 members of council participated in before the budget session February 23, and how the Ombudsman’s Office has opened an investigation into that event to determine if it meets the criteria of a meeting as defined by the Municipal Act. I want to now go back to last fall and the events that lead up to the eviction of Occupy London from Victoria Park, the closed Council sessions that lead to the eviction, the complaints citizens made citing concern Council was making the decisions in private when the proceedings should have been made public, and the investigation the Ombudsman Andre Marin opened surrounding the events. At the time, I was unsure of what to make of Occupy London despite the fact I, like people all over the world, were fascinated and energized by the Occupy movement started in New York City. To be entirely honest, I continue to be torn. I am sympathetic to their general message – income disparity is real and a real threat to the wellness of our society, too much control is in the hands of too few, etc. – without being sympathetic to some Occupy members in our city. I believe in the message, but not how it is delivered. I believe there are better ways to be involved in our community; awareness is a good start, but it must be followed by concrete action. For this reason I am excited by and participated in the Citizen Panel events that work parallel to Occupy, trying to find real solutions to the issue they raise. But this is also where I am most frustrated by some Occupy members – those that choose to attack and deride people like Glen Pearson, who have done so much to help those most in need, decades before Occupy began. I understand Occupy’s frustration both with City Council’s decision to discuss the eviction behind closed doors (the subject of the Ombudsman’s investigation) and the budget decisions made that will harm London’s most vulnerable – but this does not excuse the outbursts some Occupy members made during the long budget meeting last month. So, I am encouraged by their energy and message despite disagreeing on how they live it out. For these reasons, I write this not to vent bias for or against Occupy, but to voice concern about how Council conducted themselves in having the closed meetings. If it is found that they behaved in an opaque manner, I think it should be very concerning for our city, especially when less than half of eligible London citizens chose to vote in our last election. When these events were taking place last fall, I wasn’t very involved in London politics – despite studying planning at Fanshawe and going to a series of planning meetings at City Hall, learning about the Municipal Act, Official Plan Act etc. while in college, I haven’t studied London politics and proceedings as close as I could wish since then. This blog series is part of my effort to learn more about our city and the events and politics, and participate more both in understanding our past and in shaping our future. To set the context of the Ombudsman’s report that is slated to be released later today, I have written a short timeline of events. This is by no means exhaustive, and doesn’t cover the swirling emotions and frustration happening in the city as the occupation of Victoria Park happened, when they were removed and the aftermath. For two excellent sets of London blogs on the subject, I’d recommend Gina Barber (@GinaBarber_W9)’s posts here and here and Philip McLeod (@philipmcleod)’s posts here, here and here. Here is a short time-line: *Note: I hope that these dates are accurate. I had some difficulty finding sources discussing the events with dates, particularly the timing of the eviction. September 17, 2011: Occupy Movement starts in Zuccotti Park, NYC. October 15: Occupy’s first Global Day of Action. 951 cities in 82 different countries around the world take part, at least 20 Canadian cities participate, including London. Occupy London begins. October 25: Mayor Fontana offers “cautionary support” of Occupy London demonstrators. October 28: Occupy London meets with London City Council. November 7: In-camera Council session occurs. November 8/9: Occupy London evicted. Complaints are made to Ontario Ombudsman about nature of votes that lead to the eviction of Occupy London. November 29: Ombudsman’s office launches investigation into closed-doors vote that lead to Occupy London eviction. December 7: City Council turns over documents to Ombudsman. March 1: Ombudsman’s report finalized, to be released to City Council. Council is adjourned for March Break, and won’t have time to read report before it is released. An extension could be made but it seems one wasn’t requested. Ombudsman says he is “baffled” by the decision. March 19: Ombudsman’s final report to be released. Last week City Council and the Ombudsman made news as it was revealed that Council “baffled” Mr. Marin by not accepting the draft of his report detailing the investigation into London City Council’s conduct surrounding the decision to evict Occupy London from Victoria Park last November. As part of the investigation process, as a matter of “courtesy” those under investigation are offered a chance to read the report and offer feedback and propose changes before it is made public. The next Council session was happening the day after his deadline for releasing the report, and without guidance from Council city staff said they were unable to comply with his conditions. I find this decision very strange, as Council knew that this report was in the works for some time, and it was posted March 1st that the draft had been submitted to Council for their input. As Mr. Marin stated: “I’m actually a little baffled because . . . it’s to their advantage to get a heads-up on what’s about to come out and an opportunity to contribute to the final report,”. So why does this matter? For me, this all returns to the importance of accountability from the people we elect – and the less transparent they are, the more citizens will be turned off from the entire political process. If our councillors and members of parliament (provincial and federal) aren’t accountable to us and conduct themselves in ways that attempt to avoid scrutiny, the less robust our system and our citizen engagement is, to the detriment of all. We need as much debate and discussion about our society and what we want to achieve; the less people connected and interested, the more we all lose. I hope that, regardless the results of Mr. Marin’s report, our Council works to operate in such a way as there isn’t even opportunity for these kinds of concerns, and we can encourage many more London citizens to the discussion. This is just one aspect of doing this, but citizens are skeptical enough about politicians of all levels as it is – if we can remove even one source of this cynicism, I think it would be to everyone’s benefit. I will continue this post with an assessment of the Ombudsman’s report, after it is released to the public. I’m usually proud to be a Fanshawe College graduate. Today is one of the few days I struggle to do that. I know that Fanshawe is an excellent school that continues to grow and expand the courses it offers, and attracts students from London, areas nearby (I lived in St. Thomas before coming to London), further communities including large urban centres like the GTA as well as small northern communities, and all over the world. When I moved to London in 2004, I started a program being unveiled that year, the first degree program that school offered, Integrated Land Planning Technology. But throughout the time I was at Fanshawe, the name Fleming Drive kept coming up. Spontaneous street parties, property damage, couches set on fire, beer bottles hurled at London Police when they came to intervene. Every year the area is one of those focused on by LPS’ “Project LEARN” (Liquor Enforcement and Reduction in Noise), which is a joint venture between LPS and Western/Fanshawe staff and students in the first month students return after the summer. These kinds of events didn’t begin to prepare London for what happened last night on St. Patrick’s Day. It was a perfect storm – 22°C, beautiful sunny skies, and what amounts to a drinking holiday on a Saturday. London emergency services were prepared, and had stepped up their presence downtown and in the areas around Western and Fanshawe. It wasn’t nearly enough, and the breadth of what happened on Fleming Drive is breathtaking. Some of the stories covering the event are here, here, here and here. Young people (I hesitate to use the word “students” though many media members have done so, and undoubtedly at least some of those involved were) took to the street, set a CTV news van on fire (thankfully no one was hurt, and Sean Irvine actually continued to report from the scene despite what happened), and police were repeatedly repelled as they tried to intervene. Materials including pieces of fence, a couch, TV etc. were piled on the blaze, and bottles, bricks, rocks etc. rained down on officers as they tried to intervene – several were wounded though not badly, if they hadn’t been wearing riot gear it’s believed it would have been much worse. I followed this all last night through Twitter as people commented, shared the developing news stories and shared pictures and videos from the scene. The question I kept encountering was “Why”, and people seemed to struggle with the concept that it was seemingly for no reason at all. As others have observed, most countries set fires and aim to injure police because they are protesting for their democracy and freedom. Here, Londoners rioted for no reason at all. how old are these kids? how far away from home (their parents) do they live on average? how much of their education are they paying for on average? what is the socio-economic background of the average student? what’s the graduation/attrition rate of the programs at the school? what’s the ratio of student to non-student residents around the school? what on-campus entertainment/social programs are available & what is the rate of student participation? I wonder if the Fanshawe community really is unique, but I can also only speculate, it would be excellent if this type of assessment can be done. I also wonder if these kinds of actions are attached to reputation. Students come and go, and yet this has been a chronic problem for Fleming Drive in the time I’ve been here, and likely long before. So, why does this happen year after year? I wonder if it isn’t because people that move into the area do so partly because of a social expectation that it’s the place to be for parties, plus permanent London citizens show up to Fleming when there’s likely to be a party/riot. Already this question is being hotly debated and will likely only continue to be so in the days ahead. Part of the question is what is being done already, something I am working to learn more about. Endevours like Project LEARN seem to be one piece, though entirely reactive. How do we tackle the root sources of the problem? Part of that is activities – it has been pointed out that there is very little to do in the area, and that the college is in an industrial/institutional area of the east end. From my perspective, Fanshawe has been expanding extremely rapidly, and is working hard but struggling to keep up. The first residence was opened in 1999, and now has 1,200 on-campus units as well as 68 townhouse units for 400 more students, bringing their capacity to 1,600 – of note is the fact the third residence and the purchase of the townhouses happened in the past 2 years, meaning in that time they’ve doubled in capacity. Of particular note is the townhouses, known as Gatewalk. Like Fleming Drive, it had been a source of disturbance off campus which drew criticism of Fanshawe students. To deal with this (as well as the dwindling space on campus for future residences) the college purchased the property and made it an extension of the Fanshawe residences, so that the property is under their control and to guarantee only Fanshawe students were living in the complex and that they are under a code of conduct. To me, these are the kinds of initiatives that need to happen. I hope that this latest and most horrific event will spark conversations amongst citizens as well as between groups like the College, Residence, City of London staff, LPS, the LTC, local community organizations and FSU. For whatever reason these events seem unique to the Fanshawe area, I hope we can all work to understand why that is, and tackle the root causes. Harder is changing the culture itself. Many have commented that until whoever were rioting last night (and those that observed them doing it) learn to take personal responsibility for their actions, things won’t likely change. This story continues to develop, and editorials are already being written. I hope that this terrible event can start meaningful conversation between our city and campus communities to find real solutions. Above all, the actions of the people involved should not reflect on London or its excellent post-secondary schools as a whole. They must also be understood, and we nee to start working now to make sure they don’t happen again. *This is a continuation from my previous post, Open Government. *Updated: When the story first broke, altlondon.org author Butch McLarty (@ButchMcLarty) pointed out that a quorum of 3 standing committees was formed by this lunch, including 2 that met after the lunch occurred. The details are posted here (at the bottom of the page). This concern was echoed yesterday by Councillor Joni Baechler. He has also pointed out to me the signposts that point towards an improper meeting – not having staff or media present, as well as not offering any notification of the meeting or producing minutes. Extending my posts on London politics, I’ve been thinking more about government accessibility, accountability and transparency. A couple weeks ago the Ontario Ombudsman André Marin received two complaints that select members of City Council (including Mayor Fontana) met together over lunch Feb. 21 before the budget meeting that included several controversial decisions – this story was first released by altlondon.org, and later picked up by the local mainstream media. The Ombudsman’s office reviewed the complaints to determine if the complains warranted a full investigation. Yesterday it was announced here, here and here that the Ombudsman has officially launched an investigation into the lunch. The Ombudsman’s office has said that it will now work to determine if the lunch was simply a get-together, a proper or improper meeting, which will include conducting interviews with those that were present. This announcement has further stirred debate over the rights of council members and if they should be able to meet as they please – as Ward 4 Councillor Orser has observed, he will have “din-din” with whoever he chooses. I also find Councillor Orser’s reaction to the news an investigation is underway interesting – he stated “I’d like to see the complainants come forward and I’d like to have my chance to face my accuser”, citing section 19 0f the Ombudsman Act. In response, Ombudsman spokeswoman Linda Williamson has stated that complainants are able to remain anonymous unless they choose to come forward. Six members of council in any shape, form or fashion having lunch at the Harmony is no different than having supper between council breaks in groups of six at the top of city hall, except anyone can go in the Harmony, the public’s banned from city hall. I think (the rules) are really important . . . the public has to trust the government is doing their business in an open and transparent manner,” Baechler said. “If they’re not, that’s a problem. 1. The Council members that met (Mayor Joe Fontana and councillors Bud Polhill, Stephen Orser, Dale Henderson, Paul VanMeerbergen, and Denise Brown) had all signaled they would vote to approve the “B” list cuts during the preliminary budget meeting February 9th. As stated previously, Councillor Henderson signaled he would approve the affordable housing reserve cut, then days later said he may change his vote based on citizen concern over the cut. This lunch occurred, where (according to Henderson himself) they discussed city budget business, including the affordable housing decision. That night, Councillor Henderson voted to approve the cut as he originally intended. Was his decision influenced by the discussion over lunch? 2. Councillor Denise Brown said that this get-together was only a social lunch, but Councillor Henderson gave a contrary statement, saying they had discussed budget business, which I interpret as being a meeting of a partial council. Which statement is correct, and why did one of them lie? 3. Orser argues that this lunch was more accessible than when Council gets together at the cafeteria at the top of City Hall – are these get-togethers also between a select group of council members, or the entire council? 4. Some citizens have voiced opinions similar to Councillor Orser’s, that Council members should be allowed to meet with who they choose. However, in reality, many workplaces stipulate that colleagues may not meet together. When select council members get together, it creates an inclusive/exclusive dynamic, where councillors are either in or out of this group – all the more concerning when the parties meeting have all signaled they would vote the same way in the budget session. Councillors are expected to act individually on behalf of their ward constituents, not as a voting bloc. The local media has repeatedly reported that Council is becoming more divided, I’m concerned that meetings like this will only deepen the divide. 5. The Council members involved should ultimately have known better – this is the second investigation the Ombudsman’s office has opened concerning the transparency of London City Council in the past 6 months. In the past week Marin’s office completed the draft report for the investigation it launched after complaints were made about how Council operated as it made the decision to evict Occupy London from Victoria Park. This detailed Free Press article describes the elements that the Ombudsman is investigating, and many other citizen concerns that may not be subject to the report. The draft report has been submitted to Council for input, before the final draft is made public, likely later this month. For these reasons and more, I believe that those under investigation are aware of the Municipal Act (specifically Section 238 and 239) and the restrictions it places on them. 6. Council members should be conscious of when they may be forming a quorum, whether it is of the entire council or of committees. As stated above, the members that met for lunch constituted a quorum (majority) of 3 standing committees they are members of, 2 of which met just after the lunch. Whenever a quorum is formed, it must be declared a meeting, which includes taking minutes of what is discussed. When this meeting occurred, it wasn’t formally acknowledged and no minutes were taken. So under this criteria, this meeting breached the Municipal Act. So – is this a legitimate concern or needless interference in the lives of councillors? To me it is about our city operating an open government and being accountable to London citizens. As the Ombudsman states in this article, “I applaud any movement toward transparency”. Under the Ombudsman’s leadership Ontario municipalities are moving towards further openness and transparency – a trend London is as yet sadly falling behind in. I hope that Council can learn from these investigations, and begin to take a leading role. *This post is stemming from my earlier posts “Life & Death” and “It’s All Politics”. As I wrote the last post and continue to read different perspectives about the robocall suspicions and everything else happening at all levels of politics, I continue to drift back to previous thoughts and posts I’ve written. This week has been a keen reminder about the frailty of life and has made me think more about myself and who I want to be/what I want to accomplish, and the type of life I want to lead. I want to be a more connected and engaged citizen and person, to live as the best possible person I can be even as I continue to struggle to find what that could possibly mean. So, muddling through life the way we all are, more or less. Arguably on the other end of the spectrum, we see politics. Over the ages we’ve worked to construct the best system to have governance over people that manages to represent all people fairly and somehow manage to have their voice and perspective heard while not trampling all others. Or at least pretend to, with many of the uglier aspects of human nature leading to all kinds of abuse and corruption. In the process humanity has struggled through many different forms of government from all over the political and philosophical spectrum, and we’re still struggling. Through it all, instead of having the epicenter of our government being an arena of intelligent debate and sound reasoning, it often dissolves into nothing more than bitter personal disputes and vendettas publicly funded. In Taiwan, the Legislature has been cleared by all-out brawls. In the United States, it wasn’t too long ago the country faced a budget crisis where members of the House wanted to vote on their principles of smaller government and not raise the ceiling, despite the fact it could plunge the country into bankruptcy (a sword of Damocles that only continues to hover overhead). Here in Canada, name calling, bitter positioning and even allegations of voter suppression win out over representation of the public’s interest. Tempers flair and personal interest takes over. This is all very human, but it can be argued that instead of creating a culture and atmosphere of mutual cooperation, government can create situations where members are more willing to make a poor decision than to admit wrong, and more willing to damage the public and public perception than accept defeat. For a little while, all of it fell into the background for me this week. I received many kind condolences for our family’s loss this week, I’m so grateful for them all. One I received on facebook did surprise me though, received from London-North Centre Conservative MP Susan Truppe (@susantruppe). I wasn’t at all surprised because of how I understand her character, but because we’ve never met, and I have often commented on her facebook posts since she was elected to give (I hope fair) criticism of her posts. I was very touched by her thoughtfulness, and we’ve since talked over facebook. What struck me most is the pure humanness of it – despite our differences she knows what it’s like to lose a loved one and expressed her sympathy. She has also encouraged I and others to provide feedback regardless of if it is in agreement or disagreement with what has been said. Although I’d like to be wrong I believe this kind of quality is very rare in politics, I hope we may see more. I often disagree with her/the federal government on policy, but to know that she is listening means a lot. We should all be able to expect as much from every member (MP, MPP, City Councillor etc.) representing us in the different public spheres, but that just isn’t the case. Watching the Tories defend themselves today, with their characteristic mixture of bluster and spite, it seems more of a piece with the behaviour of which they are accused than a refutation. Scandal may be the symptom, but partisanship is the disease. In response to Andrew’s article and the sharing/conversation that followed online after, Chris Loblaw wrote this blog post, “In defense of Partisans”, offering clarification on the word partisans, reminding us that “‘partisan’ isn’t a dirty word”, and a partisan by definition is “a supporter of a person, party, group, or cause”. To continue the sports analogy, it can be like the fan base of any team, with a wide range of people and ideas within any pool. Some may be blindly partisan, but others cheer for their “team” because they truly believe they are the best and will be all too happy and qualified to tell you why. However, for those that are devoted to the game as well as those that play it, it’s all about being the best while playing fair. Here, some common ground can be found with Andrew’s article – we shouldn’t be ready to accept everything our team does as just when there is proof to the contrary, despite the fact we don’t want to hear our team has behaved badly. We should demand a group willing to both fairly represent us and to get into/maintain power fairly. Have we and will we ever truly see such a group of people? Perhaps not, but I hope we still strive for that goal. There will come a time when the present PM will move along and the war games will be pared down. Liberals, Conservatives, NDP, Bloc and Green alike will suddenly sense that the windows to the place have been opened. The bars on Sparks Street will again be filled with MPs of various stripes supping together. Committees will find compromise and a sense of personal responsibility and dignity will quietly take their seat in the Chamber. So where does this leave us? For me, at least, with hope. I struggle with political affiliations and how I want to be civilly engaged, especially in these times of political pessimism and cynicism. I will hold out hope that we may in future see more examples like Susan’s and Glen’s, where members of our government reach out to those opposite them in compassion, humanity and understanding. We need more people willing to come across the real and perceived barriers that divide us and find real solutions that find that almost mythical place between individual need and compromise. Politics has been likened to sport, but I believe a situation that encourages any one group to “win” doesn’t reflect the fact that they are working on behalf of all Canadians, including those that have not and may never avow to be in their fan base. How do we do this? I still believe our answers lie in alternative election methods like proportional representation, but I will continue to read and learn about it and the different forms it can take – as well as brainstorm what can be done in the meantime. Even if we were to move to another election method, it would take a great deal of time and it would seem an active and informed electorate – which is the ultimate goal regardless. As always I complete this with more questions than answers, but I hope that we as members of a community, province, nation and world can all start and continue meaningful conversations. May we all live boldly and break barriers as others have done. We need to find affirmation and support in those that agree with us, but even more so, we need to find genuine conversation with those that don’t. This past week, my wife’s uncle Ross passed away after battling lung cancer, at the age of 59. In the quiet time afterwards spent contemplating Ross’ life and being with family to share stories and fond memories, we’ve come unbearably close to facing our own mortality. Though it is very cliche, in saying our sad goodbye to Ross, just how fragile we really are is painfully evident. But it is also an opportunity to take stock of ourselves, who we are, who we want to be and if we’re getting there. We always wish we had more time, and I do sincerely wish I could have known Ross longer. I met and began to get to know him as I started to date Sarah, about 5 years ago. Ross was a devoted husband, father, family member and friend, and a true lover of music, good food, books, philosophy, ethic and justice, local history and more. But there was so much more to him than that, and as I write I realize just how difficult it is to truly encapsulate who we are – not just what we enjoy but what motivates us, what strengthens us, what we believe. We are all so much more than the sum of our parts, and may always be a mystery even to ourselves. I also wish I had spent more time with Ross while he was with us. As death reminds us how fragile and short all our lives are, I hope we can make a commitment to ourselves and others to make the most of the time we have and to make sure we have time to be with those that we care for. In the quiet contemplation I’ve spent since thinking about Ross as well as life, I’ve felt that there was a great deal of truth in the silence if only I could manage to capture it. I’ll try my best to do so here, though I fear much if not all will evade me. This is something we all must grapple with, and something we can spend most or all of our lives avoiding. Memorial services that commemorate and celebrate someone’s life often bring to mind the big questions that we hesitate to think about until our mortality is right before us. Because we were born, someday we too will die, and in recognizing the unknown but finite number of our days, our hours and minutes take on a deeper value. 3. How will I get there? 4. Where are the cookies? These are questions make us think about our identity, our destiny, our ethics, and the little things that make life sweet. Ross’ childhood friend Garwood spoke about Ross’ life, and I was very interested in how he introduced it. Garwood began by describing the familiar analogy of the blind men inspecting an elephant and describing and analyzing it only by the part they could feel. He reminded us that he knew Ross for many years, but still has a very incomplete picture of who Ross was. He also reminded us that we are all more than a sum of our parts, and yet he would work to describe the man he knew as best as he can. Garwood spoke of a life that had and lived big ideas, but also enjoyed the sweet things in life. Garwood reflected on Ross’ love (bordering on devotion) to music and the never-ending search for truly good music and the sharing of ideas about music, and how they spent many nights swapping LPs they had discovered at the local record shops of old classics as well as interesting new music. Friends and family will always have wonderful memories of Ross and his family generously hosting many events at their house, of Ross barbequing in the backyard, often with a glass of wine in his hand as he flipped burgers and seeming so happy doing it. Ross was a man that knew how to enjoy life’s simple pleasures. He also had strong values and ethics, and lived them out. He and his family have done amazing social work all across South America, and made many friends through their journeys and dedicated work. So as I think again of Ross and his life, I hope I can one day truly be the kind of man he was. As I write and think, I hope we can all kind time for the things that truly matter to us, and yet still be able to take time to enjoy the small pleasures life offers. I hope in the days and weeks ahead to ask and keep asking myself those four questions, and measure how far I’ve come, and how far ahead yet I have to go. I hope this may stretch into every aspect of my life, no matter how difficult that may be. *I’ll continue these thoughts in my next post, “Life, death & politics”.